A short piece in Ed., the always interesting magazine published by the Harvard Graduate School of Education (HGSE), led us to a new tool for parents and teachers to support children's social-emotional development. 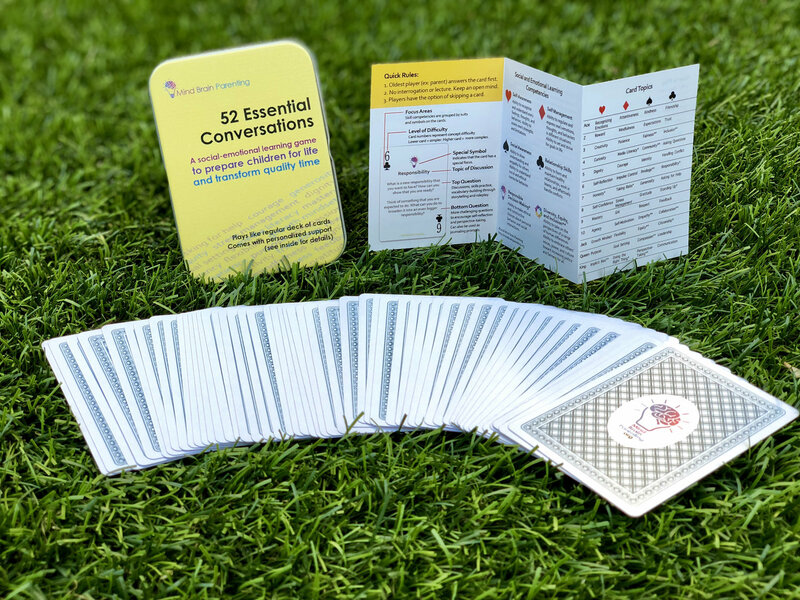 Jenny Woo, a recent graduate of HGSE and a parent herself, created "52 Essential Conversations" for children -- and adults -- ages five and up. 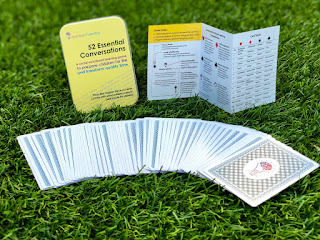 The cards cover such broad areas as responsible decision-making and social awareness, and are designed to be used in a variety of ways -- as conversation starters at home, as writing prompts or circle time discussion topics in a classroom, or even in a psychologist's office. Woo designed the cards to follow the framework of the Collaborative for Academic, Social, and Emotional Learning, which has established national standards for "research, practice, and policy, to equip educators and policymakers with the knowledge and resources to advance social and emotional learning in equitable learning environments". She explains, in a video, that she had recently lost a friend to cancer and had been thinking about what life guidelines she would want to leave for her own children. She set up a Kickstarter campaign and brought the cards to market last year. Talking to kids isn't always easy. This tool can be a valuable way to start a conversation and share your values with the children in your life.